We purchased an iPad last year for my son to use and in the year he has become eerily proficient with the touchscreen interface. The educational applications have been very good and still use it for this purpose; however more recently it is being used as a video player... Whilst I'm not particularly against this, I would rather he start creating content rather than merely consuming it. One problem with being used to touchscreen is the keyboard and mouse paradigm is alien - it must be really weird to have to press a keyboard key located somewhere else. I imagine using a keyboard for the first time would be like writing notes on a piece of paper but the ink actually appears on a different pad. 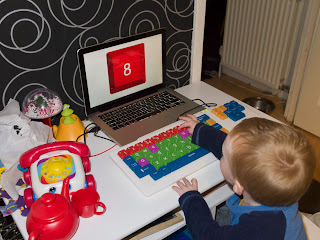 Anyway, keyboards are here to stay and I want my son to learn how to use a keyboard as well as learn the alphabet (he is already pretty good at numbers). 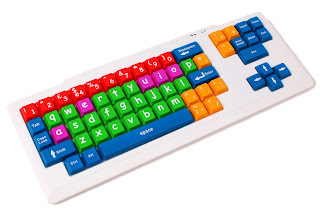 Therefore as part of my Raspberry Pi setup, I purchased a Duragadget keyboard for my son to use, this has large keys, lower case letters and coloured for vowels, consonants, numbers and symbols. The program will prioritise those characters which have been incorrectly typed already thus helping practice those. After three wrong attempts a new character is displayed, also holding a key down won't generate repeat attempts. Some future changes include a mode change to allow the display to be driven by the keyboard - i.e. select a key and see it on the screen. Also when 3 incorrect keys are pushed, I'd rather replace it with a character which has had a higher success rate. I was very pleased that my son was very receptive to it, even this early version. 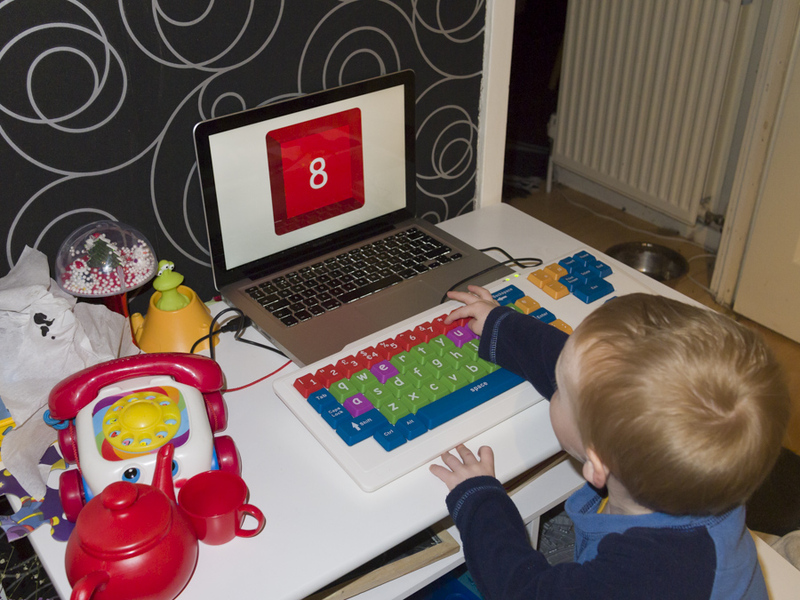 I felt extremely proud when he wanted to play "Letters and Press Button" instead of watching Peppa Pig! !